We all know that social media matters. Sure, it’s not ABSOLUTELY necessary to have a social media presence, but to be honest, it’s pretty damn important. 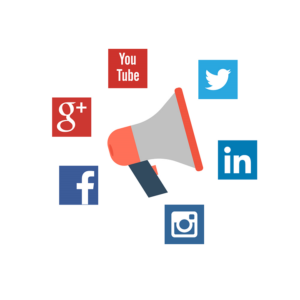 By now almost every company recognizes the value in having a strong social media strategy, and has set up a Facebook business page and maybe even created an Instagram account. But while it’s easy enough to set up social media accounts, and keep them updated every so often, (cat GIFs, anyone?) when it comes to doing social media, REALLY doing social media, most businesses can quickly find themselves in over their head. After all, it’s difficult to keep up the level of time and effort a good social media strategy requires, and harder still to consistently come up with fresh, engaging content. In addition to putting in the time and effort, though, a solid social strategy also involves knowing where to focus your efforts. 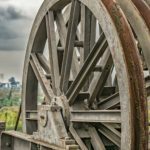 With new social media platforms appearing at the speed of light, no wonder companies that are pressed for time end up all but abandoning their social media efforts. If you find yourself on the fence, wondering if social media matters, and if it’s really worth all of the time and effort, let me assure you that it is. As is the case with anything, though, how much you’ll get out of your social media strategy is directly related to how much you’re willing to put in. 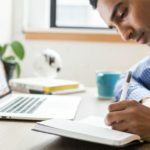 The secret to a strong social media presence, aside from having someone like Neil Patel on your team, is having a laser-focused strategy. It also involves knowing where to focus your efforts, both in terms of which accounts to use, and how you use them. If you’re ready to dive in and start getting more for your efforts, here’s a look at how you can go about pinpointing which platforms to focus on, as well as some tips for maximizing your effectiveness –and efficiency. First, of course, you’ll need to decide which accounts you’re going to focus on. The solution is ensuring that you’re laser-focused on what really matters, and that includes being discerning with how you use your time, and which accounts you focus on. With this in mind, here’s a look on how you can identify and zoom in on the accounts that’ll give you the best returns. It pays to know your demographic. It’s not just a good idea –having a solid understanding of who you’re targeting is a prerequisite for just about everything you do in terms of branding, marketing, advertising, and outreach. Your key messaging, where you advertise, the type of ads that you run, your approach, heck even your color scheme should all be created with your target demographic in mind. 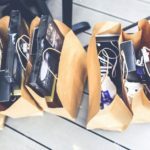 While a lot of marketers and entrepreneurs feel that they know how their audience will respond to a campaign, or worse still, will even neglect to define their market in the first place, the truth is that making assumptions like this can result in some serious blunders –including wasted resources. Identifying a target market is important for a number of reasons. It’ll also you to laser-focus your strategy to reach this group, increasing its effectiveness, and it’ll help you to know how you should approach them with your social media advertising and marketing efforts. It’ll also give you a good idea of where you can find them. Once you’ve pinpointed your audience, you can then start tracking them down. Where are they likely to frequent? Which platforms do they use for what activities? Get ahold some demographic research like this data from Sprout Social or this breakdown of age demographics from Statista to see which social media platforms your audience is likely to be on, showing you where you’ll want to be. Here’s a hack that you can use to see which content’s performing well with your target audience: take a look at your competition. 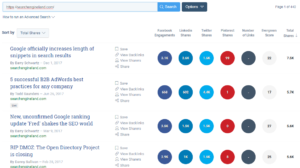 Choose a few competitors who share a target audience with you, and plug their website into a tool like Buzzsumo’s most-shared content tool. This will bring up a few results of the most shared content on their site, and will give you a good idea about which ones tend to perform well. You can also see which social networks are responsible for the most shares. Usually, the majority of shares will come from Facebook –no surprise there as it’s the largest social network by far. But take a look to see which other platforms have shares as well. If you see anything that’s responsible for at least 20 percent of the shares, it may be worth focusing your efforts there as well. You could also type in a relevant keyword into Buzzsumo, to see where content that features that keyword is being shared. Which Platform Has the Highest ROI? This one will involve some trial and error. But it can be a great way to determine where you should be spending your time. If a social platform is giving you no return on investment, it’s not worth your time. But if you’re finding that a certain platform is giving you a stronger ROI, you’ll want to focus there. While it can be difficult to measure exact returns from social media platforms, as awareness can be hard to quantify, it’s still worth tracking your numbers to see if you can get an idea about which ones are sending you customers with the highest lifetime value (CLV). Having your key message down will help you to reach your target audience more effectively. Not only that, but it’ll also help you to set up new social media accounts more quickly and easily. You won’t have to dig deep each and every time you set one up, having a go-to message allows you to be ready to go. Here’s something to keep in mind: you don’t need to be on each and every social media platform. At the end of the day, if your audience isn’t there, of if you find that you’re getting a low ROI from your time spent on a certain platform, then you may want to consider dropping it, and concentrating your efforts elsewhere. Ok, I’ve broken it up to make it a bit easier. Here’s a look at the top social networks, and chances are, your audience is on at least a few of them. Of course, you’ll still want to do your own research to see where your audience is. FacebookFacebook boasts over 2 billion monthly active users, and your audience is almost certainly there. Most businesses find that having a Facebook business page, at the very least, is a good option for their company. 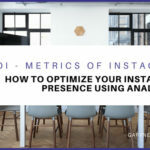 InstagramFacebook-owned Instagram is another place your audience is likely to be. It’s also one of the top platforms in terms of engagement. 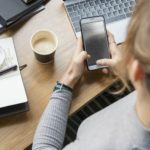 With 59 percent of Instagram’s users under the age of 29, and 33 percent between 30 and 49, it’s an ideal platform for businesses with audiences who fall into either of those categories. TwitterTwitter can also be a great place to reach your target audience in 140 characters or less. With thirty-six percent of Americans aged 18 to 29-years-old using Twitter, there’s a good chance that your audience is on here as well. SnapchatIf you’ve got a younger demographic, you may want to consider using Snapchat to reach them. The largest demographic on Snapchat is 18 to 24-year-olds, who comprise 37 percent of Snapchat users. Google+Google+ is a good place to share different types of media; images, videos, and more. Plus it’ll help boost your SEO as well. WhatsAppAnother Facebook-owned company, WhatsApp is a messaging platform that might be worth getting on board with. This platform makes it easy for customers to communicate with you, and is a good place to send offers, provide support, and more. YouTubeYouTube is the place to share video content. Look to create short, engaging videos that are relevant, engaging, or funny. LinkedInIf you have content to share with the business community, LinkedIn is the place to be. You can also use LinkedIn’s SlideShare to share PowerPoint presentations. PinterestIf you sell products or are able to take a visual approach with your marketing, then consider using Pinterest. This platform’s a great place to share eye-catching images and infographics. With 45 percent of online women using Pinterest, compared to 17 percent of online men; it’s also an ideal platform if women are your target audience. Niche Networks and ForumsReddit, Quora, Vine, Product Hunt –these networks and forums, and more, could be your diamonds in the rough. By establishing a presence, and working to share relevant and helpful content, you can get the most out of niche networks, and target people who may be more likely to convert. Of course, while you can simply stick with Facebook, you may have better results by using a combination of one or two major social networks, and one niche one. For instance, if you’re selling to B2B companies, or high-income individuals, you may be better off focusing on Facebook and LinkedIn. If you sell products that lend themselves well to images, then you may want to focus on Facebook and Pinterest or Instagram. 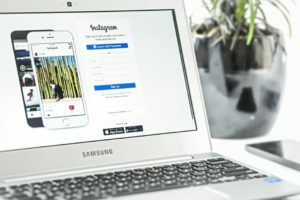 Since larger social media accounts have such a wide audience, by using tools like Facebook and Instagram’s custom audience tool, you can pull your target market out of their much-larger pool of users, allowing you to narrow your focus onto one segment, and increase your ads’ effectiveness. 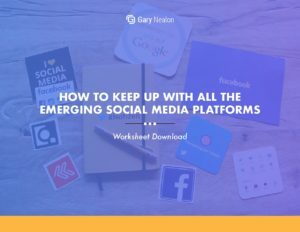 Get our How to Keep Up With All the Emerging Social Media Platforms Worksheet delivered right to your inbox. 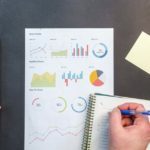 Now, let’s take a look at some strategies and tools that you’ll want to employ to get the most out of your social media efforts. Instagram Stories are a popular feature, and a great tool for brands who are looking to expand their reach. Stories gives you a unique chance to take people behind the scenes, feature your products in a fun new way, and more. It’s a great way to make your brand a bit more accessible and human. Influencer advertising is a tremendously effective way to boost awareness and credibility. Try teaming up with a social media influencer who’s a good fit for your brand, and who has an audience that’s similar to yours. Facebook and Instagram allow you to create what’s known as custom audiences, an audience that’s carefully segmented. This means that you can get extremely tailored with your messages, increasing their effectiveness. You can create audiences of past purchasers, current customers, high-value customers, and so much more. And, you can even create lookalike audiences, based on a custom audience, allowing you to find even more prospective customers. Facebook Live is a great way to connect with, and grow your audience. With Facebook Live you can broadcast a live video to your followers, while at the same time interacting with them. It’s a great opportunity to add a face to your brand, and engage with your followers in a real way. Yes, you can use hashtags to expand your reach on social media. If you want to know which hashtags are trending, you can use a handy tool like Hashtagify.me. In most cases, you’ll want to use branded hashtags and/or hashtags that are trending, but somehow related to your content. As you know, social media can either be a major time sink, or a valuable tool. Using it effectively involves finding a balance between spending time efficiently and wasting it. So here’s a look at some tools that you can use to maximize your efficiency on these platforms. This will allow you to preschedule your content to go live at optimal times, and will also give you data on how your posts are performing. It’s a great way to save time and improve your posts’ effectiveness and reach. Social media works out best if there’s a schedule. This is ideal if you’re trying to juggle multiple people, platforms, and campaigns, but it’s a good idea even if it’s just you working with two different platforms. 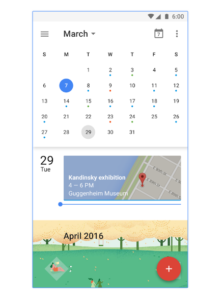 To create a schedule that works for everyone involved, consider getting ahold of a shared calendar like Google Calendar. If your social media management tool includes a schedule or calendar, you can use that instead. Then be sure to actually use it. Planning out your social media posts for the month ahead will save you from having to commit time to it each and every day. 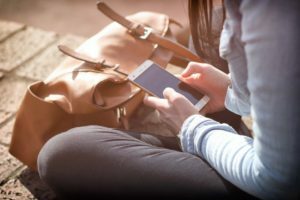 As we’ve seen, social media can quickly take over your life. To prevent that from happening, your best option is working in batches. Batching it is your secret to saving time –and lots of it. Simply set aside a couple of hours each month to devote to your social media strategy; creating posts, and scheduling them in Hootsuite or Buffer. Then, set aside an hour or two a couple times a week to interact with your followers and promote your account. This will save you from hours wasted mindlessly scrolling through social media, and getting sucked into black holes. The more you’re able to batch, the more time you’ll save. Reusing old social media posts can be a great way to save time with your social strategy. If you had a post that performed particularly well, consider using it again. Or, link to the same content, but give it a new spin. As long as you’re not sharing the same post three or four times in one week, it probably won’t matter that much. Tools like Buffer make it easy to repurpose and re-share your old social media posts. Don’t be afraid to streamline your efficiency. If you’re new to social media, consider starting with one or two social media accounts. Try them out, work with them, and see how it goes. If you have time, you can always add another one later. Go where you have the best returns and avoid signing up if you can’t commit. It’s better to have one or two thriving social media accounts than it is to have six stagnant ones. So choose carefully and don’t feel pressured into spreading yourself too thin.